MU Veterinary Medical Diagnostic Laboratory Director and College of Veterinary Medicine Professor Shuping Zhang, PhD, was installed as the vice president of American Association of Veterinary Laboratory Diagnosticians (AAVLD) during the House of Delegates meeting on Oct. 20, 2018. Zhang will go on to serve as president-elect in 2019-2020, president in 2020-2021 and immediate past president in 2021-2022. The AAVLD is a world leader in advancing the discipline of veterinary diagnostic laboratory science to promote global animal health and one health. 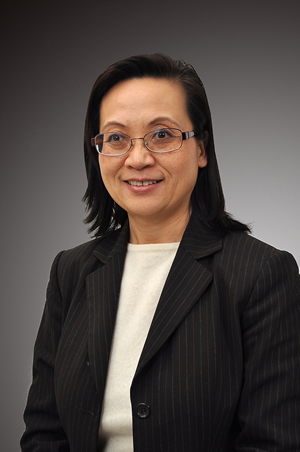 Zhang will work with the executive committee members of AAVLD and U.S. Animal Health Association to promote solutions for animal disease diagnostics and animal health-related issues based on science, new technology, international standards, public policy and risk/benefit analysis. This new leadership role reflects MU VMDL’s recent progress in diagnostic service and development as well as the long-standing commitment of the MU CVM to animal health, animal agricultural industry, and one health.